What is a Parapet Wall and How Can Your Building Benefit? Parapet walls are a part of the long history of architecture, and are still often used today. Throughout time there have been plenty of purposes, and just as many materials, for this type of wall extension. You may be considering adding one to your commercial or residential structure, or simply need quality repairs. Either way, it is a good idea to have a better understanding of the functionality of this type of wall. Simply put, this is an extension of the wall at the edge of the roof that creates a barrier. 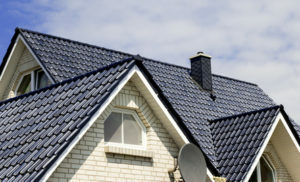 It may be used for more than roofing, including balconies, terraces, walkways and more. Once used mainly as a method of protection against ground attacks of military forces, that is not how they are used any longer. Is there still a modern use for the parapet wall in Phoenix? Learn more about how you can use this wall to your advantage. These days, parapet walls are used more as a guard to help prevent the spread of fires. In fact, they are also often referred to as fire walls. This portion of the wall which extends above the existing roof system must be as fire resistant as the lower wall. This is often required by building code, which you need to be aware of if you are having your commercial building custom built. There are many different styles of these types of walls, many of them used mainly for ornamental purposes. For instance, perforated parapet walls are pierced using designs like trefoils or circles. While this could have once served a purpose for advantage in battle, it no longer offers much, other than cosmetically. A parapet wall for your roof also acts a good barrier, for safety measures. However, it should be noted that the wall must be a certain height in order to accomplish this. Smaller walls may act as a reminder that the edge of the roof is near, but doesn’t offer protection. Taller parapets can actually help prevent people from falling from the edge. If your commercial building will house guests in the roof, make sure your wall is tall enough for this. Another common use is for wind resistance. This is a good way to protect the roof assemblies from upward wind forces. The trick is making sure that you have your parapet wall build by a professional familiar with this task, and that the best materials are used. The design has to also include proper planning for water management. The last thing that you need is to end up trapping water on your roof and weighing it down. This can result in major leaks and the threat of collapse. At Envision Roof Coatings, we offer the best in parapet wall service, including repairs and waterproofing. For over a decade now, we have been earning the reputation for being the local leading service provider, when it comes to this type of commercial wall structure. This simply is not the type of task that you should entrust to just anyone. There is no reason to settle for inferior service, or take a chance with the level of quality that goes into the parapet wall you have. Make it a point to give us a call today to find out more about what we can do for you. When it comes to the services that you need, quality should always be the main priority. If you are looking for parapet wall repair or waterproofing services in Phoenix, then please call 602-759-0922 or complete our online request form.